St. Patrick’s Day is coming up tomorrow. 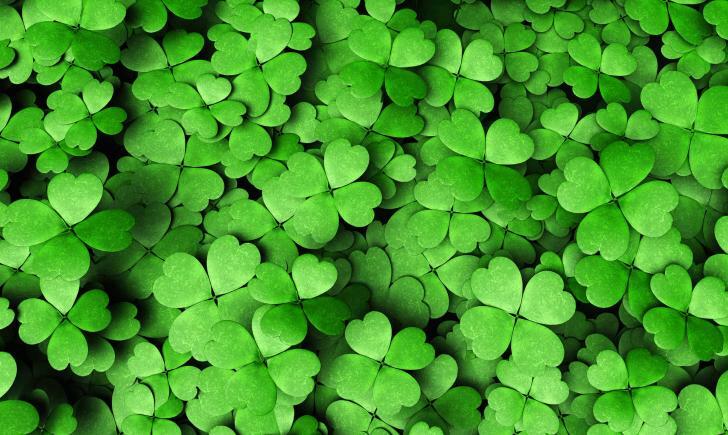 Most people use it as an excuse to skip work and get drunk off Jameson and green beer, but several communities worldwide manage to host culturally accurate gatherings to celebrate their Irish heritage. Regardless of how to choose to spend the day, you will find that many people are die-hard devotees to their family history and show some serious pride. 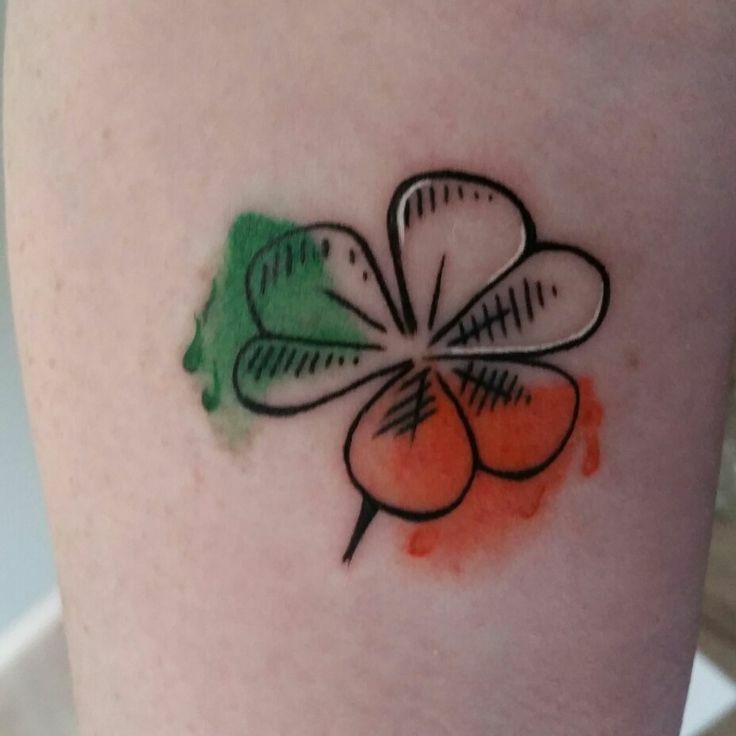 From shamrocks to leprechauns, to pots of gold and the luck of the Irish– here is a handful of tattoos to show off some enthusiasm and anticipation for St. Patrick’s Day. 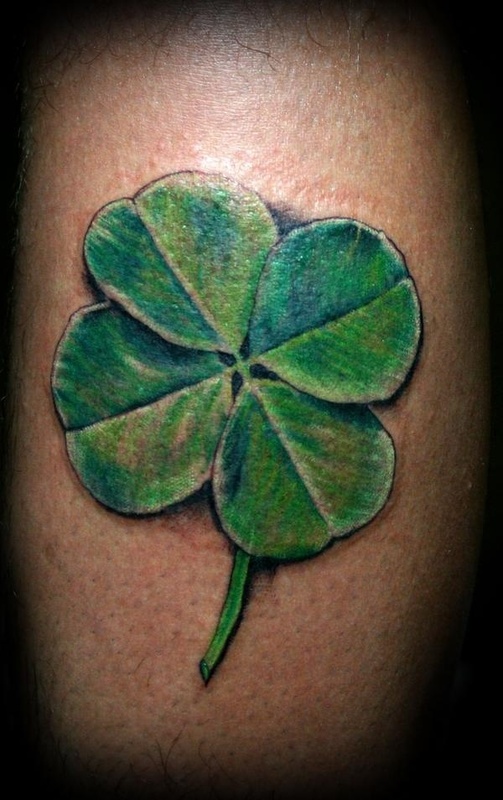 This lovely shamrock tattoo is a bright and vivid realistic style depiction of an Irish symbol for luck. The shading makes it pop and looks as though you could pluck it right from their skin. 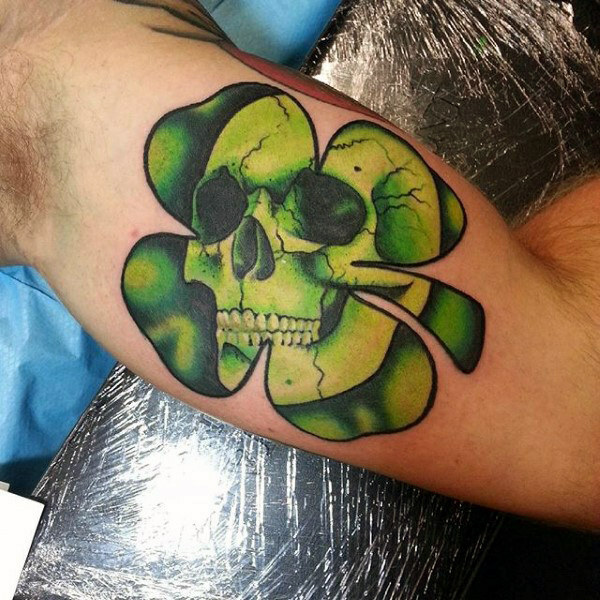 Here is another variation of a shamrock tattoo, but this time the shading contributes to the dark and morbid skull that rests in the center while grinning. 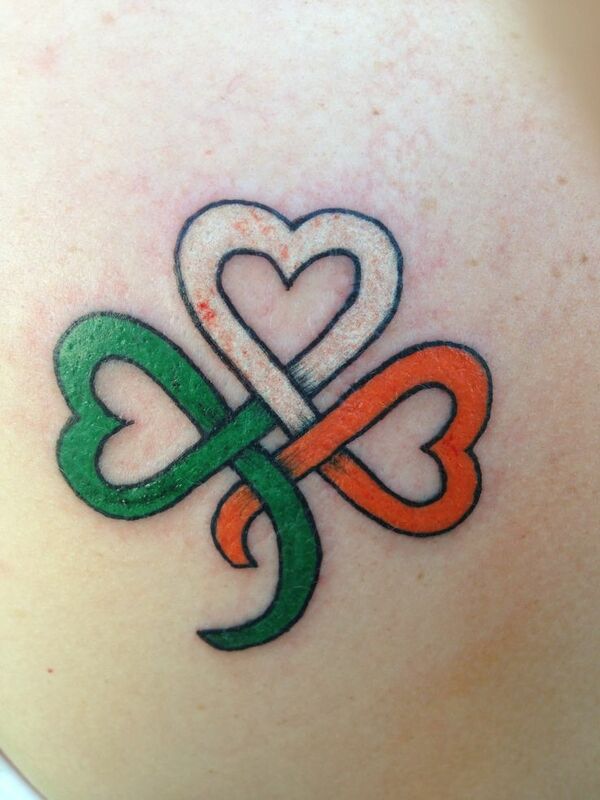 This rendition of a shamrock incorporates Celtic style design with the colors of Ireland’s national flag. It looks fresh and sweet– straight to the point! 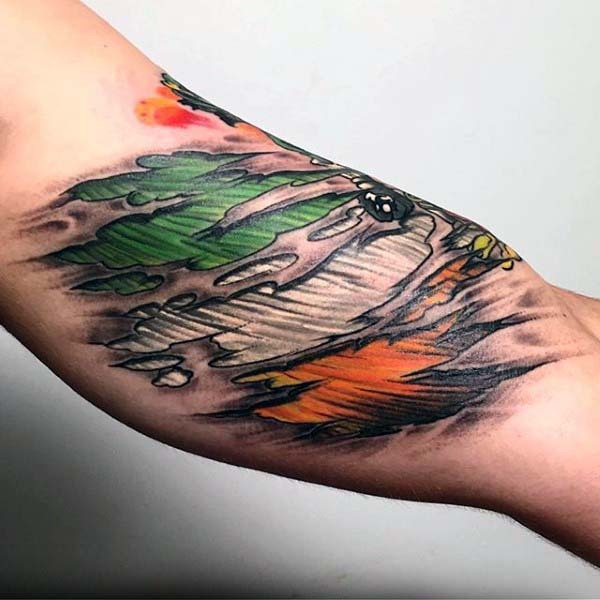 This Irish flag tattoo is a bit more intensified as it looks as though someone is ripping it out of the appreciator’s skin. 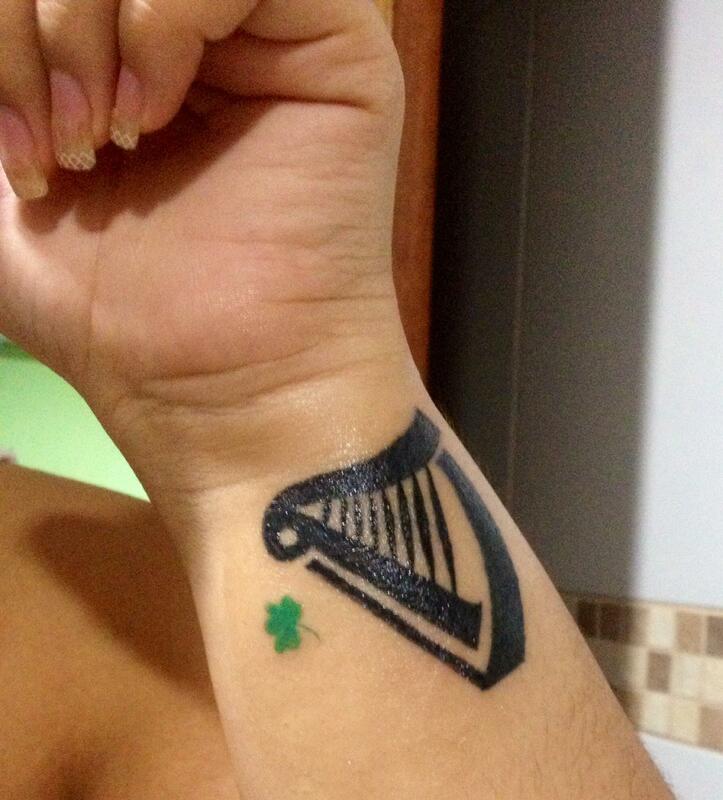 Perhaps the message here is very clear– this person bleeds Irish pride. This adorable watercolor style shamrock offers pristine a and beautifully flowing black outline as the colors of the Irish flag bleed together across the petals and stain the skin.